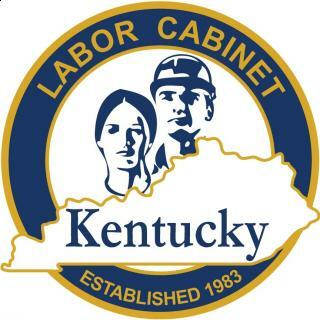 The Kentucky Labor Cabinet ‘s Office of Occupational Safety and Health, Division of Education and Training is offering FREE OSHA training the week of February 24 – 27, 2014. The training, which is open to all Kentucky employers and employees, will be presented at Builders Exchange of Kentucky, 2300 Meadow Drive, Louisville. Classes to be presented include: Overview of the Kentucky OSH Program, Crane Safety for Construction, Excavation and Trenching Safety, Injury and Illness Recordkeeping, Basic Electrical Safety, Fall Protection, Hazard Communication/GHS and Confines Space. If you love making chili, having a ton of fun and winning a prize for doing it, then enter your chili in the 4th Annual Builders Exchange of Kentucky Chili Cook-Off on February 14, 2014. Dig out your favorite recipe or find a copy of your grandmother’s cookbook and start cooking. First, second, and People’s Choice will be donated by the Builders Exchange of Kentucky. Love the taste of chili and socializing with your fellow members? If so, consider volunteering as a judge or just join us for a FREE lunch courtesy of all of our contestants! Click here for the contestant form. Fax the form to 502-459-9803 or e-mail it to Treva Masters (tmasters@bxkentucky.com) to register your chili. Please register by February 12th. You can also e-mail Treva if you are interested in judging! 1. Anything goes! Red chili, white chili, chili with no beans: whatever you think is best! Your chili may consist of any kind of meat, pepper, pre-cooked or canned tomatoes, various spices, and other ingredients, such as any variety of beans. 2. Each contestant may enter only one batch of chili. There will be a 1st, 2nd, and People’s Choice. 3. Each contestant will be assigned a contestant number by the scorekeeper. 4. Each contestant will be responsible for turning in his or her crockpot to the judging area by 11:00 AM. 5. All ingredients must be pre-cooked and ready-to-eat. Judges will vote for the chili they like best based on only the following major considerations. Appearance & Color – Chili should look appetizing. Taste – Taste, above all else, is the most important factor. The taste should consist of the combination of the meat, spices, etc. with no particular ingredient dominating.